Super in love with today’s inspiration of the day- a seriously lovely boho chic cactus tablescape! This cactus table setting just screams dessert sophistication. We love the color palette used throughout the table design too. The bight blues and oranges against the earthy tones of ivory, green and ceramic makes for such a natural savvy look. We love the woven running against this antique wooden table. It works as a lovely backdrop to these beautiful bohemian inspired blooms that are arranged all along the middle of the table. 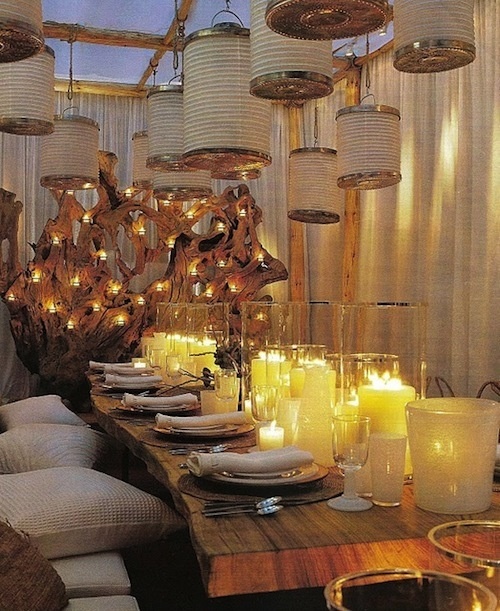 That table length centerpiece is some serious eye candy! We love the mix of natural dessert greenery with the bright blooms of cockscomb, anemones and dahlias. The woven runner also goes so well with the woven napkins at each place setting. Which is another thing we love, the place settings! The ceramic pot colored charger plates are phenominal against the stack of earthy green plates. The little cactus and succulents on each place setting are the perfect centering piece for the whole setting. Those handmade ceramic cobalt blue mugs at each setting bring in a really nice pop of color too. 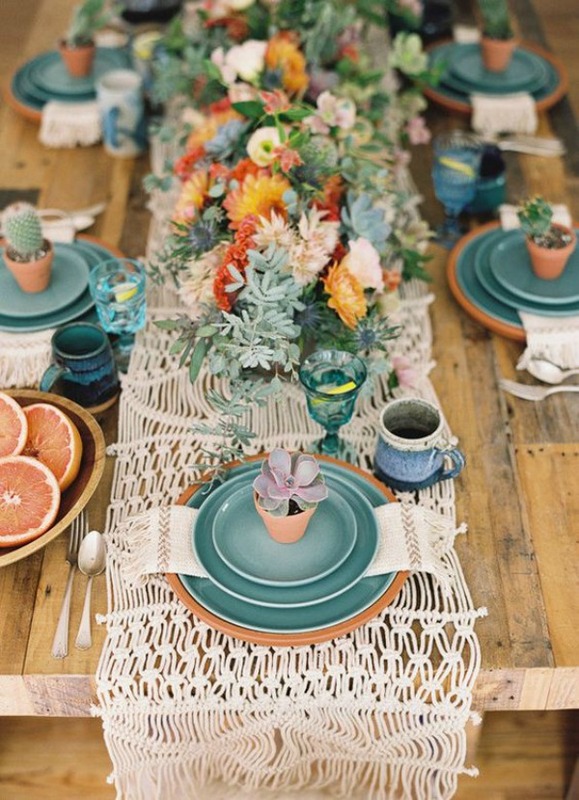 We are just loving everything about this Boho Cactus Tablescape Inspiration!